So, we all know there's a Bank Holiday Monday coming here in Ireland, making this a long weekend. But it came to my attention that some of the schools (here in Galway, anyway) have the following Tuesday off as well! (Just so we're clear...it will be important in a minute...that's Tuesday, 3rd of June). Whatever will we do with the kids to make sure they have a fantastic day? It just so happens, I have a solution for some of you. On Tuesday, the 3rd of June at 11:30am, Dubray Books Galway branch (4 Shop Street) will be hosting an author event that will suit girls aged 10 + years to the tea. 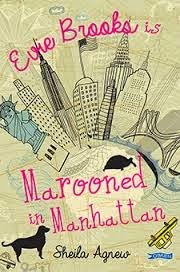 Sheila Agnew will be with us talking about her brilliant new book: Evie Brooks is......Marooned in Manhattan. "After Evie Brooks’ mother dies, she is forced to go live with her uncle Scott, a vet in New York City: between the pets, their owners, Scott and his lawyer girlfriend, the Summer quickly becomes a whirlwind of change and activity!" Sorry...two days later I'm returning to my musings on the conference. It was just as brilliant as day one, but exhaustion set in, as did time to absorb all the wonderful (and occasionally weird) failures that lead to success. There was a bit of scheduling reshuffle, as Laura Dockrill couldn't be with us. But Rachel Bright stepped in a the last minute and filled the gap beautifully. 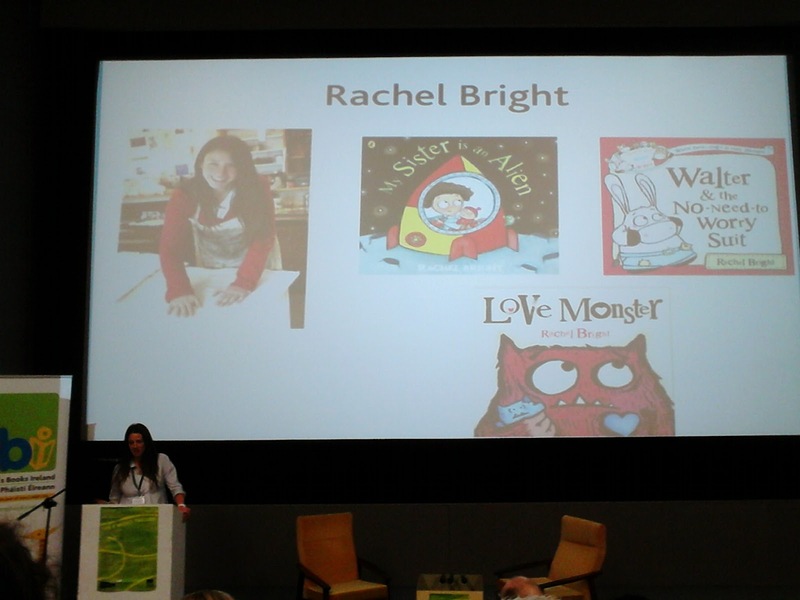 Rachel describes herself as a wordsmith and eternal optimist, and she certainly is a Renaissance woman. Her background is that primarily of a printmaker (something near and dear to my own heart), having attended Bristol University where she learned etching and letterpress. (Ahhhh...letterpress.....) In the creation of her fantastic work (both stationary and childrens' books) his has served her well. 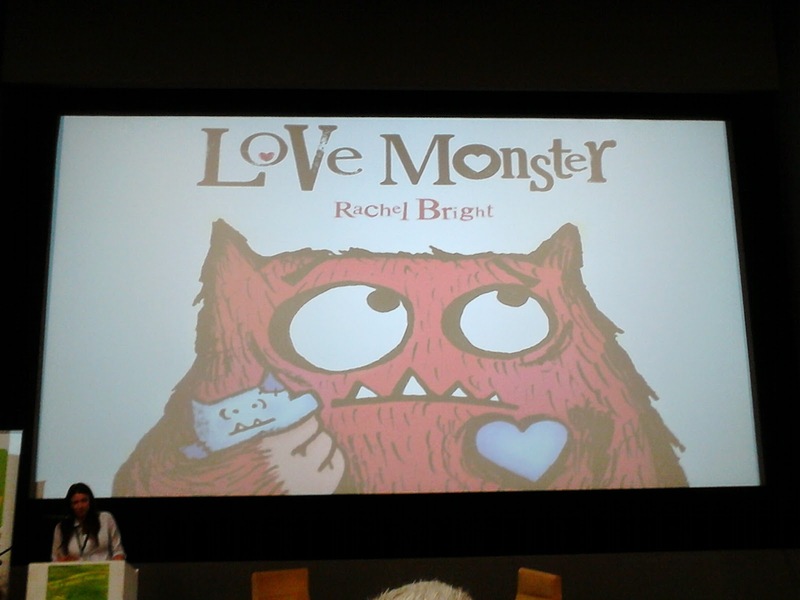 Brights' books include What Does Daddy Do and the Love Monster series of picture books. Without recounting her entire presentation here, her work stands to prove Brights' understanding that the absence of not having enough of the right things leads to beautiful things. Her main passion is her picture books, where she follows the initial germ of an idea to where it wants to go. Brian Conaghan spoke in conversation with Robert Dunbar about and around his young adult books, The Boy Who Made It Rain and When Mr. Dog Bites. The newest and latter has had quite an impact to say the least, as it uses the genuine, sincere voice of a 16-year-old young man living with Tourette's Syndrome. This is uneasy subject matter and getting the book "past the gatekeepers of children's reading and into the hands of its' intended audience" has proved an interesting journey. 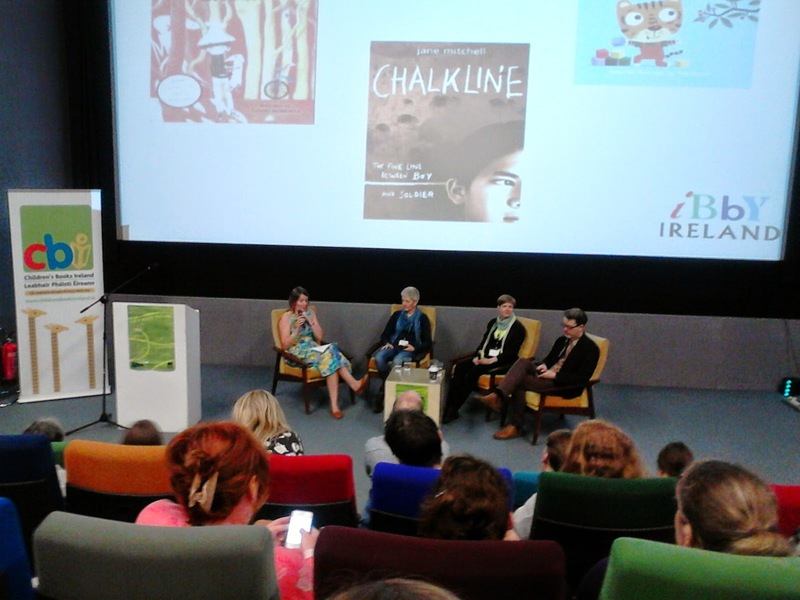 Jane Mitchell, Kirsten Reinhardt and Steve Simpson joined Gráinne Clear in a fascinating discussion on the benefits and drawbacks of winning awards..... the celebrations and pressures that they bring into the life of a childrens' writer/illustrator and life after the award winning. The three very different panelists conveyed three different, equally fascinating perspectives. This year also marked the re-vamp of CBIs' wonderful publication, INIS Magazine. 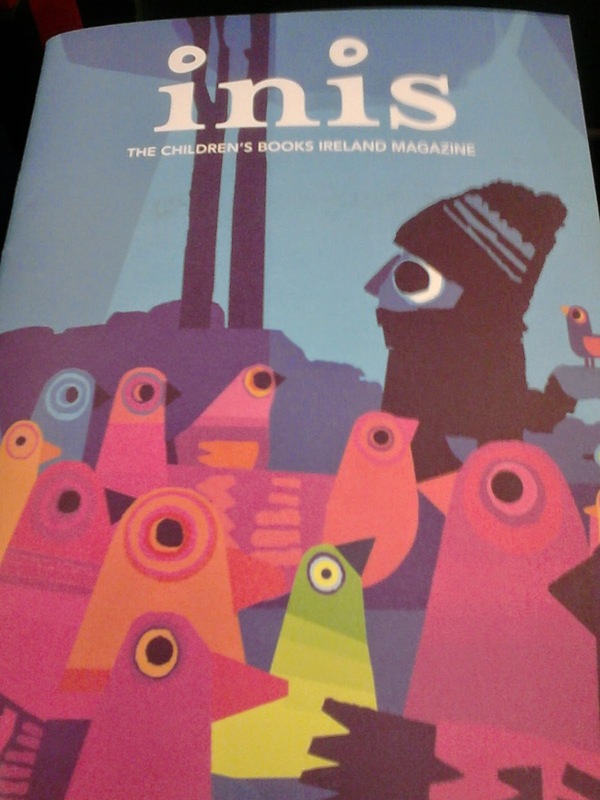 And it looks marvellous.Insightful articles and interviews, helpful, interesting reviews and all that's current in childrens' literature in Ireland and the rest of the world in a printed (! ), reader-friendly magazine. 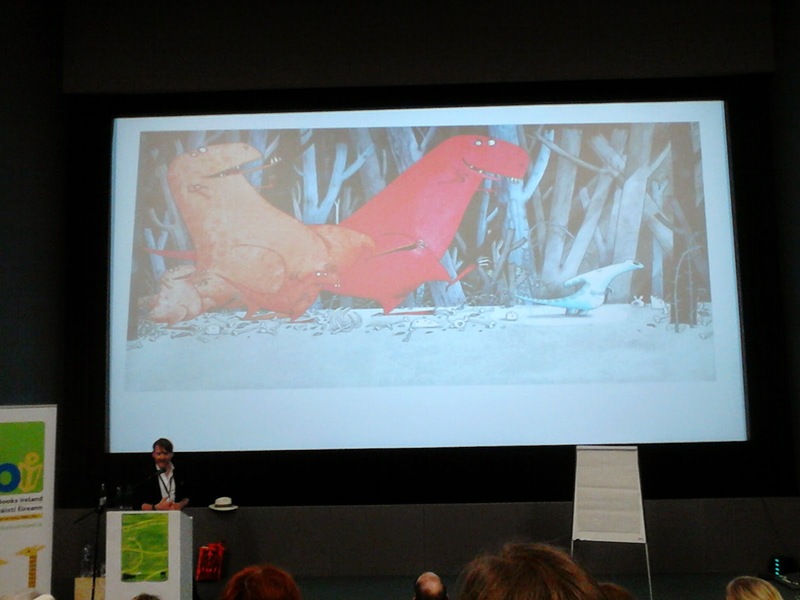 So, if you want to know more about childrens' books, and about the incredible work undertaken by CBI, look for INIS (you can by it online, if you can't find it locally) and check out the CBI website. First of all, I have to tell you all that my camera battery died first thing yesterday. 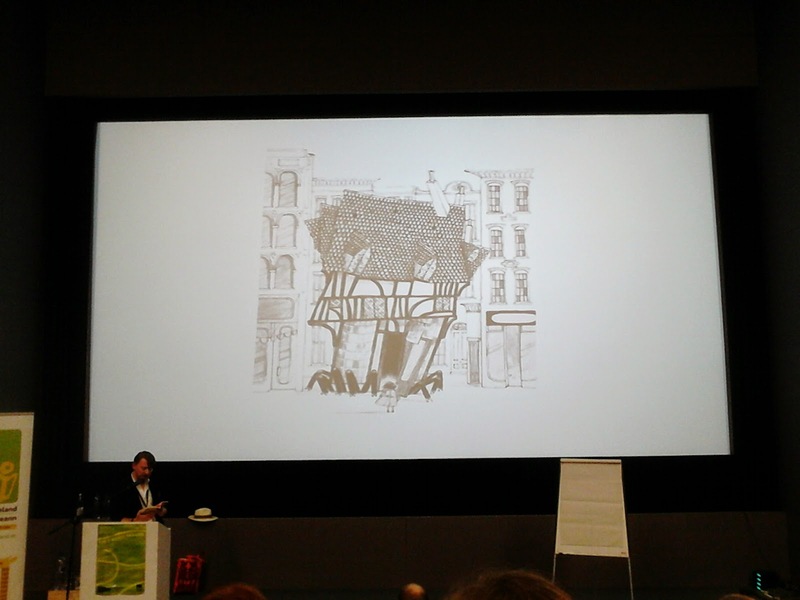 All I have (photographically speaking) are a few very poor photos from my phone and a couple that I have borrowed (and by borrowed, I mean robbed) from a couple of colleagues at the conference. There is something poignant about failure in that for me. What it gave me was the opportunity to fully listen, without the worry of getting a photo record of the day....very liberating! Yesterday was just wonderful. 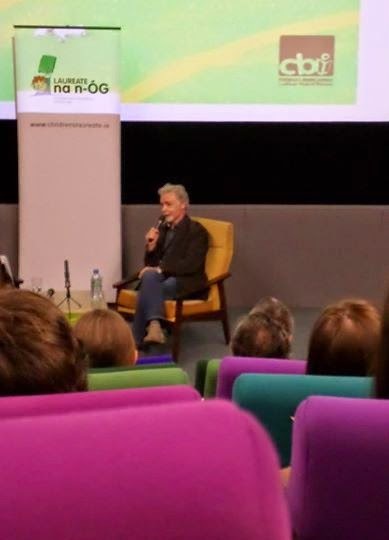 The conversation between Elaina Ryan and our new childrens' laureate, Eoin Colfer was enlightening and entertaining as he reflected on his own background, family and what this new office was bringing. Eoin is (as we have had a taste of for many years now) a true story-teller; and I, for one, am counting on him to fulfill his promise to "find you and tell you a story." There are so many children out there who desperately need that in their lives. 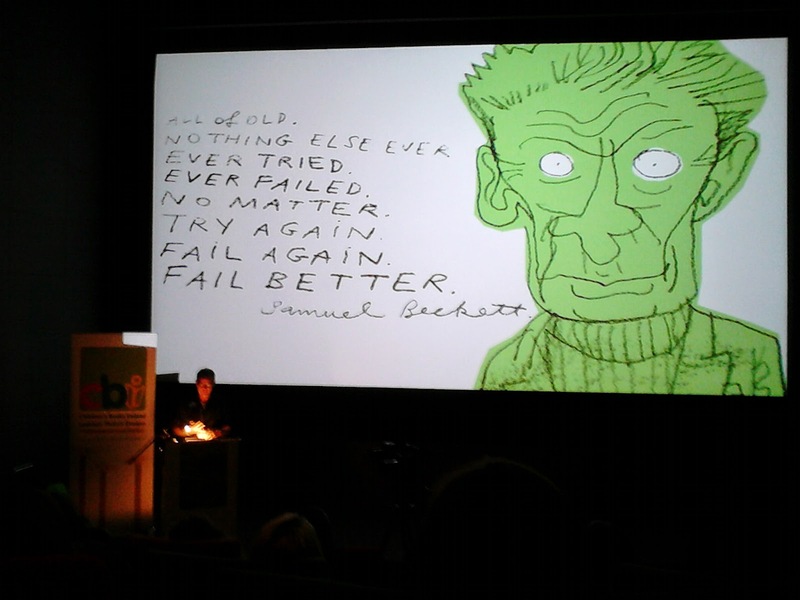 The day was filled to the brim with failure (as it was supposed to be) and more than that, the incredible opportunity that failure brought into the lives of the author/illustrators who share their stories. 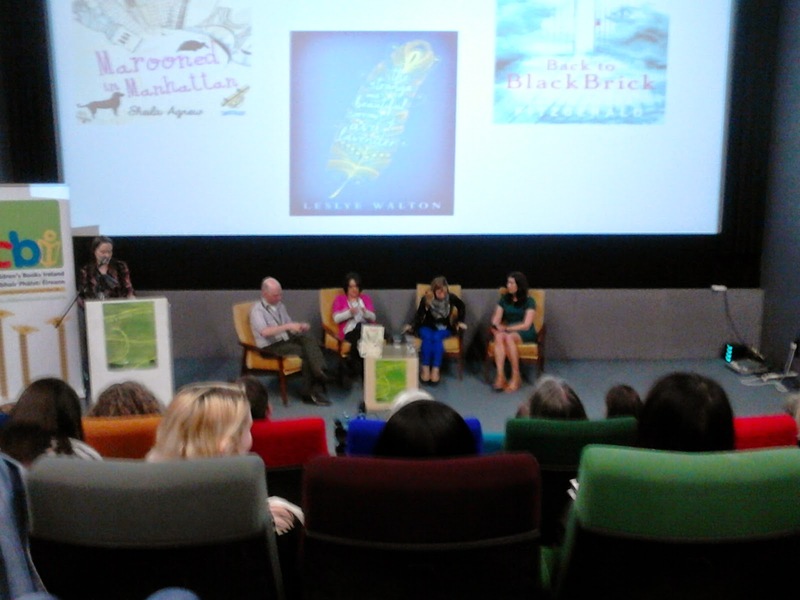 It was an absolute pleasure to hear them all and to learn from their journeys through the world of literature for young people; from the very young through the books of Leslie Patricelli to young adults with Leslye Walton. 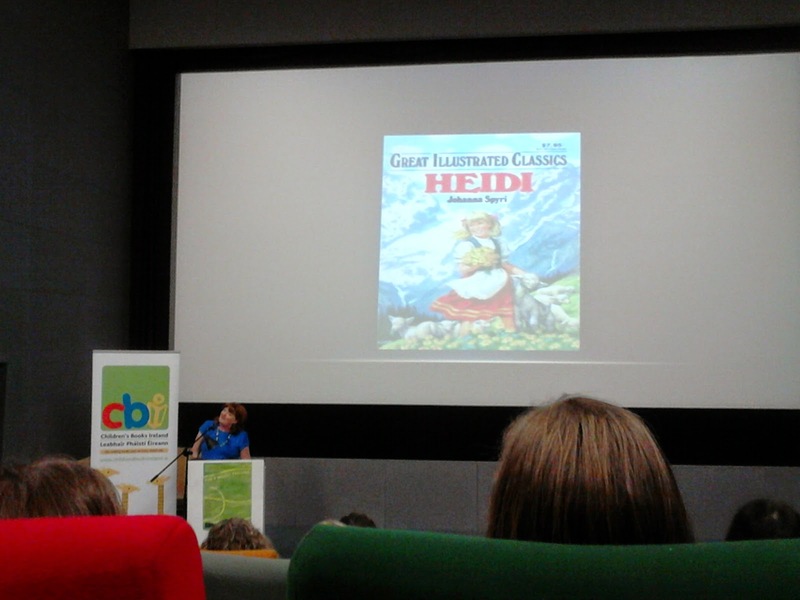 As a childrens' bookseller, the brought an increased understanding of the current flow and emphasis, with all its' challenges and successes (and failures) in childrens' books. (Very important as we are the people who have to hit the ground running and bring this understanding and information to the kids, parents and teachers we meet everyday.) 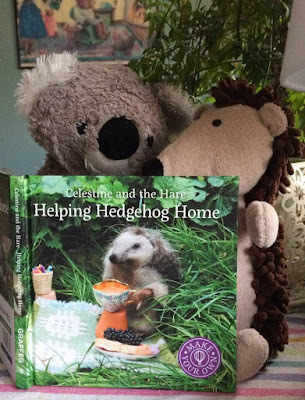 As an artist, would-be writer (definitely-maybe), avid reader of childrens' books and grandmother, it really fired my personal enthusiasm all over again. 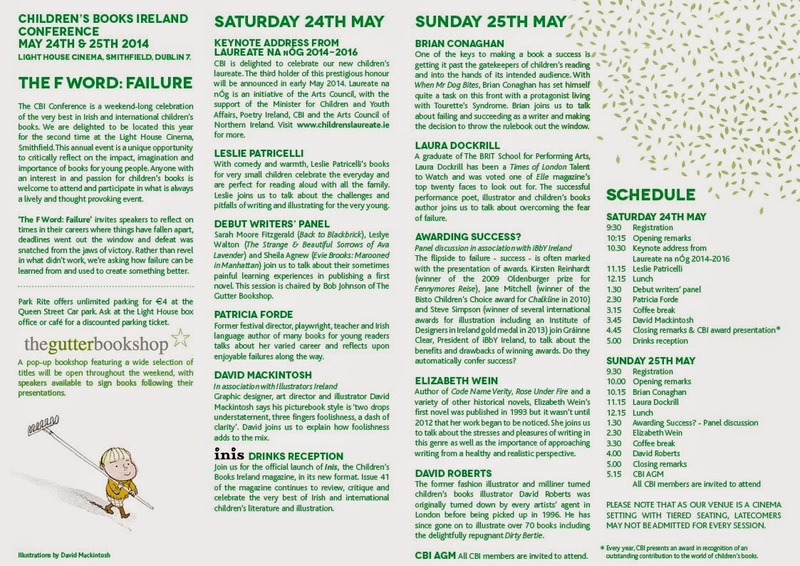 Also, I have got to tell you about Inis Magazine! It's been relaunched and it really looks fantastic! Inis will now be published three times a year in February, May and November, bringing you the latest news and reviews and all the most exciting and important aspects in childrens' literature from Ireland and the world. 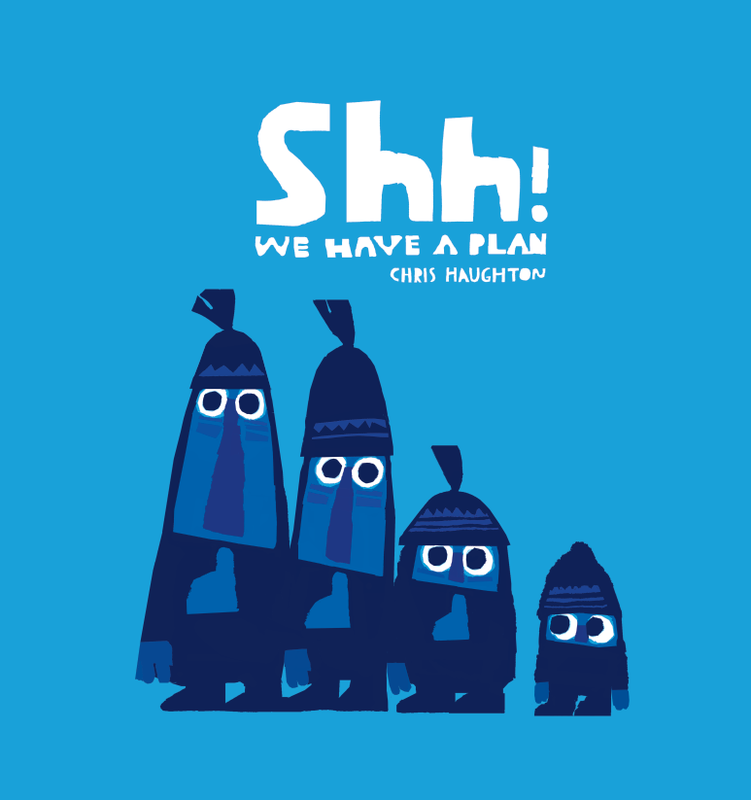 It's available NOW and sports a completely appropriate cover from the new book by Chris Haughton, "SHH...We Have A Plan". 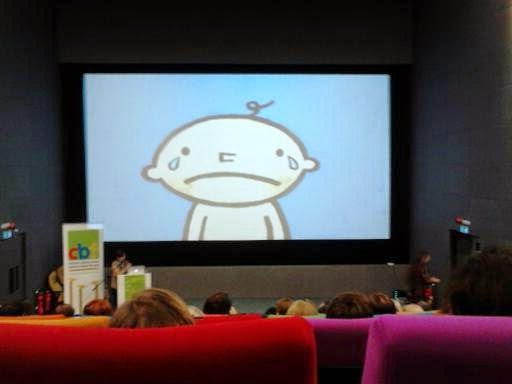 So...here I am in Dublin, as I always am this time of year, for the annual Childrens' Books Ireland Conference. 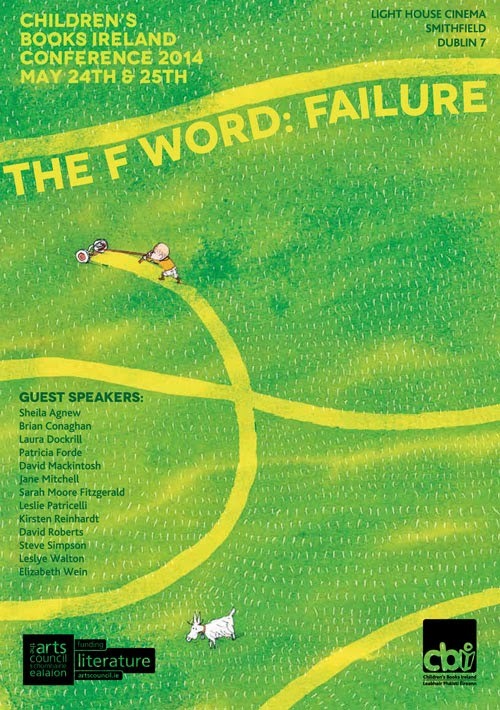 This year we will be talking about the "F" word.....failure. 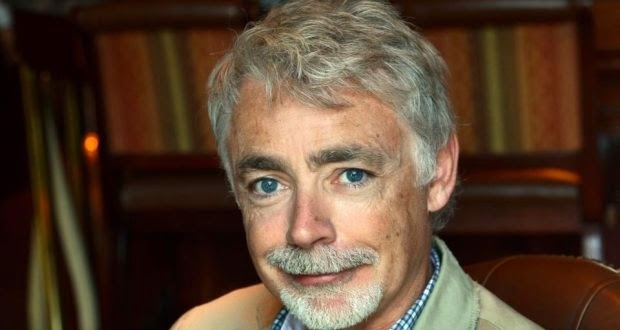 A very exciting schedule is lined up for us this year, including the very first CBI address from our new childrens' laureate; Eoin Colfer. Joining him today will be a host of childrens' writers from near and far including Leslie Patricelli, Sarah Moore Fitzgerald, Leslye Walton, Sheila Agnew,Patricia Forde and David Mackintosh. Just can't wait....and I won't have to. Registration begins in a hour! .....and watch this space. There will be further evidence. Marie-Louise Fitzpatrick (author and illustrator extraordinaire!) 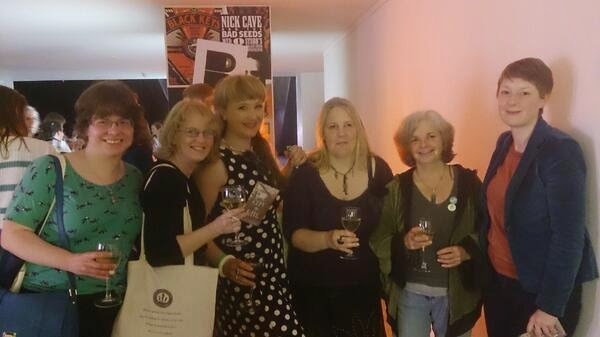 has won the overall Book of the Year Award, as well as the Judge's Honour Award for her marvellous novel, Hagwitch. 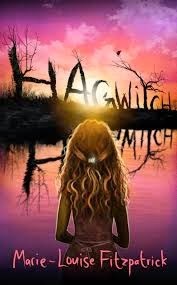 Hagwitch takes us on a remarkable journey between 16th century London and the modern day to spin a spell-binding tale. 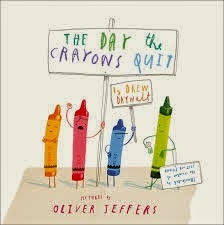 The Children's Choice Award went to Oliver Jeffers for his illustrations in The Day the Crayons Quit (author: Drew Daywalt). This award is chosen by Junior Juries throughout Ireland. 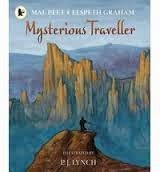 And finally, this years' Honour Award for Illustration went to PJ Lynch for his work on Mysterious Traveller (written by Mal Peet and Elspeth Graham). 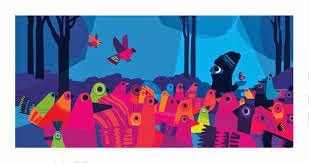 PJ's illustration propel the reader into an evocative and timeless journey. Congratulations to both the winners AND the judges. It was a difficult job, but well done to all. Here's an open invitation to EVERYONE. 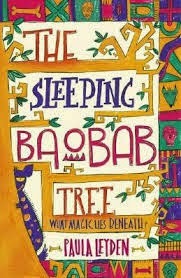 Come in to Dubray Books Galway branch on Saturday, 10th of May at 11:30am for STORYTIME! 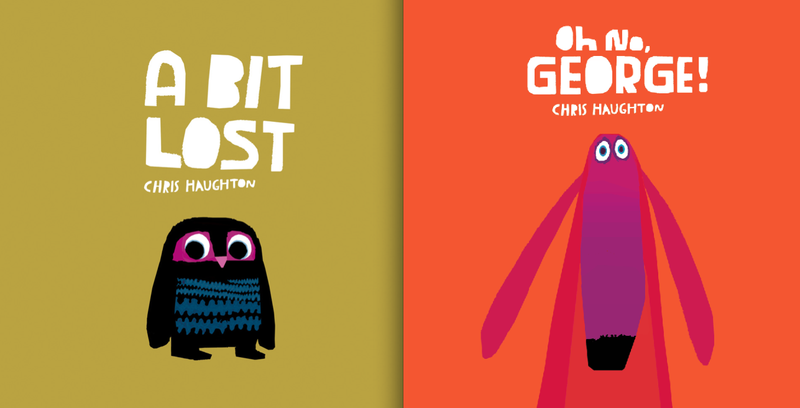 Also, I won't forget OH NO, GEORGE and A BIT LOST.... and a bit of colouring and some stickers, as well. So, see you there, everyone! Colfer was quoted as being "incredibly honoured and incredibly petrified" to be following in the footsteps of Niamh Sharkey and Siobhán Parkinson. “I feel I am representing my family and my county and indeed all book people in Ireland, which is not something I mean to take lightly. I intend to spend my time spreading stories to every nook and cranny in the country. In todays' Irish Times, there is a thought-provoking article focusing on the upcoming CBI Book of the Year Awards by Robert Dunbar. 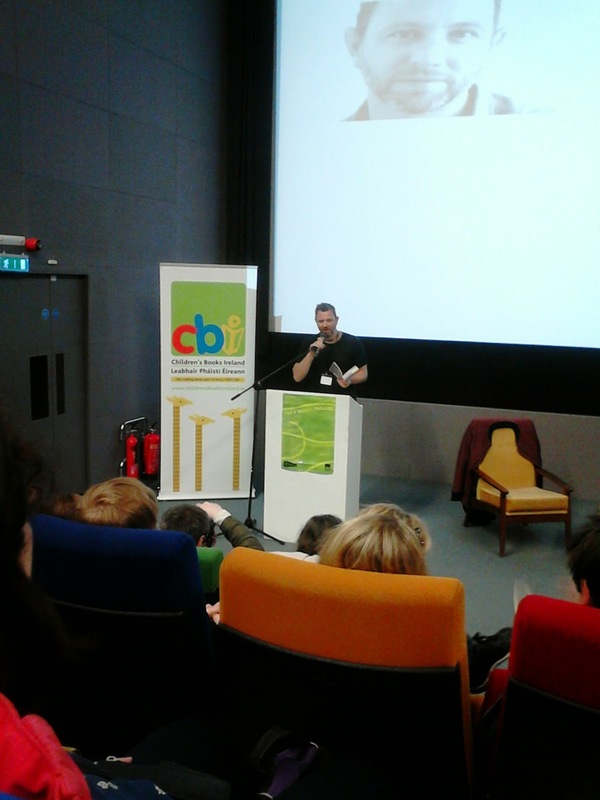 As Irelands' premiere authority on childrens' literature, Dunbar has devoted a lifetime to the consideration of excellence in the field, so when he speaks, I think it is most wise to listen. In what is a rather brief article, Dunbar gives a lot up for consideration. He is very good at that....making you think. The aspect Dunbar would like you to consider here is this notion of excellence; what does it mean and where are we with it today. 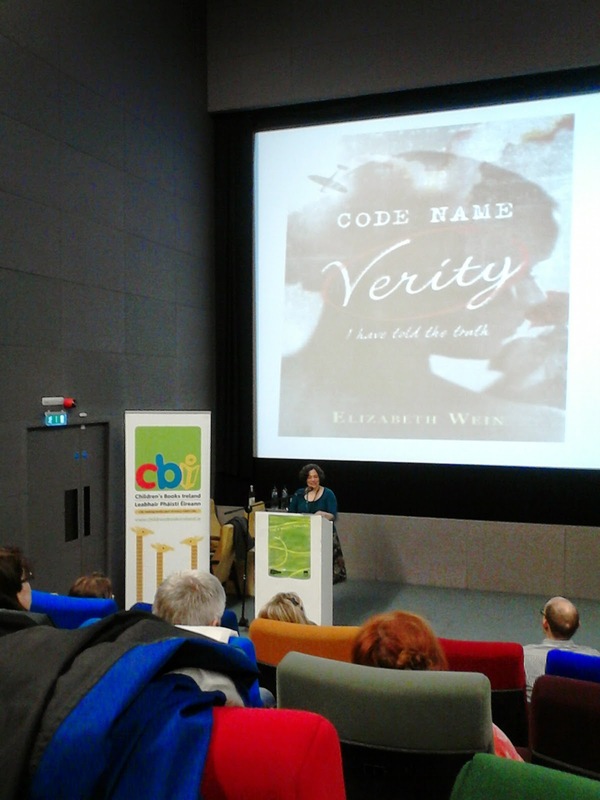 For example, the Eilís Dillon Award (for first-time writers) is sadly missing from the CBI Awards list for one reason only; that no 'first-time' submission was deemed worthy of inclusion in the shortlists. I don't want to belabour this post with endless thoughts on Dunbars' thoughts, but I do think it's worth considering this question of excellence and where we stand with it. The shortlist this time has gone from 10 to 8 submissions, all excellent offerings in their own right. The awards will be announced on the 13th of May. I, for one, am waiting with bated breath! Here's the link to Dunbars' article; well worth a read!